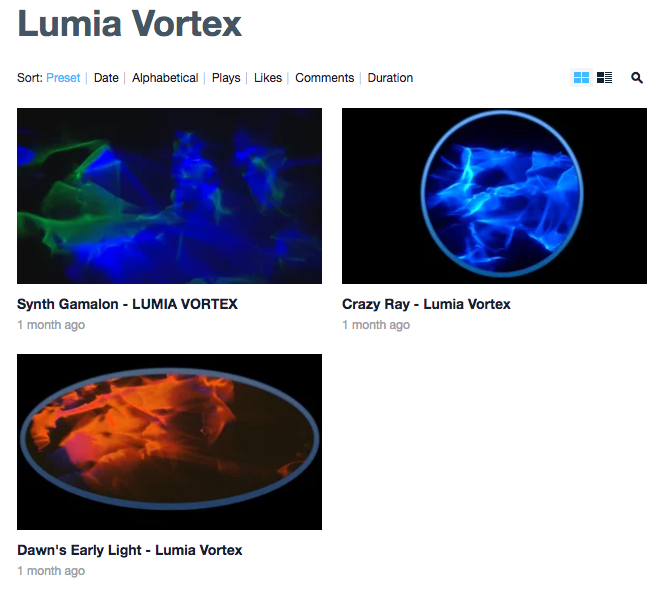 You can view examples of Louis M. Brill�s lumia projections on vimeo now. Earlier I wrote a post about Louis�s blog Sacred Lumia at https://sacredlumia.wordpress.com/ where he posted a very useful article on visual music. You can visit that post here. "The realm of Lumia creations falls into two worlds that combine into a single presence of illuminated visual art. The first world is of science where Lumia is defined by optics, varying light sources, kinetic mechanics, computers and the kludging of a various collection of unknown widgets that all come together as a mechanical marvel of projected illuminated luminazation.